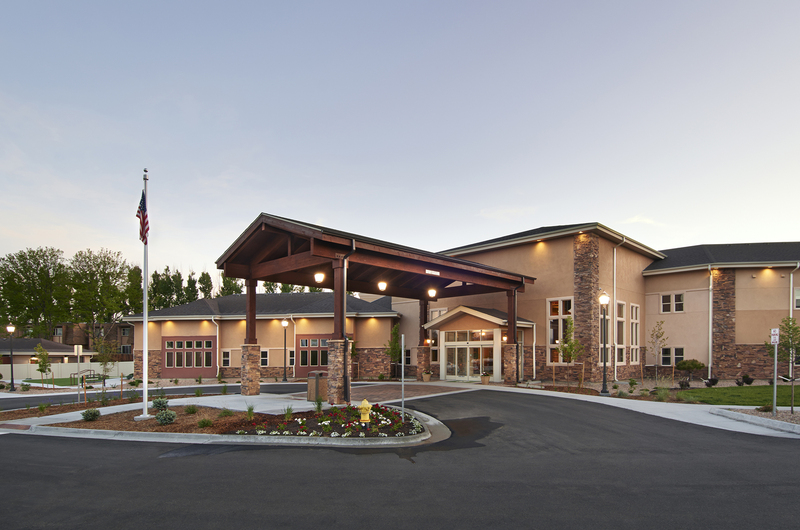 50 memory care and 50 skilled nursing units (half long-term and half rehab) and an inviting town center serve a market rate clientele. 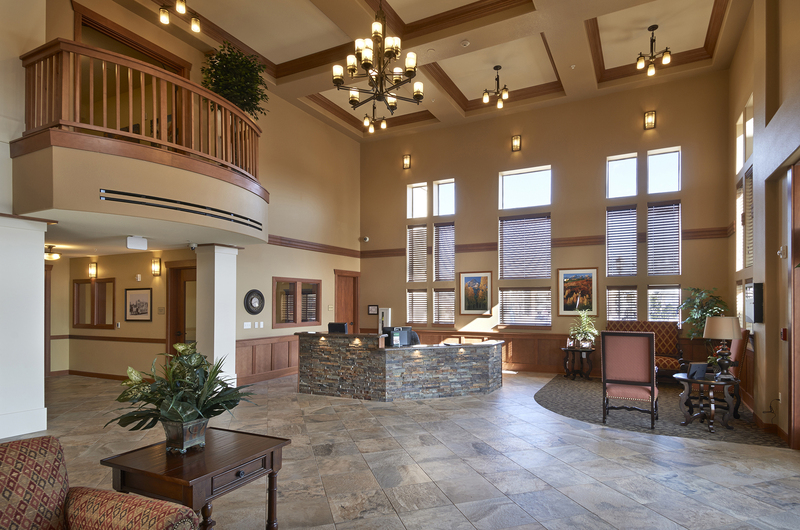 A site in the quickly growing north suburbs of Denver was selected. Neighborhoods of approximately 15 residents surround a central, safe wandering garden. 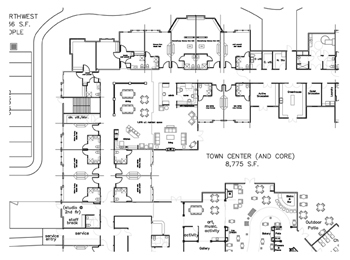 Access to the second floor skilled nursing units is via the common town center. A large and well-equipped therapy center is adjacent the town center and includes a therapy garden.